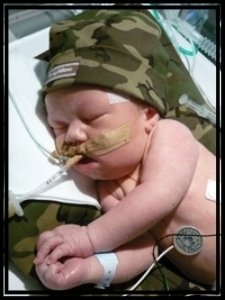 Our Mission is that "No baby - how big or how small - is forgotten"
Evan was born on June 18, 2010 in Brisbane, Australia, to Glenn and Kara Davies, weighing 7 pounds, 14 ounces, measuring 22 inches long. He was born unexpectedly feetling breach, starting at home with a very fast labor. By the time they could get to hospital and finish delivering Evan, and after 15 minutes of every life-saving measure possible, severe oxygen deprivation had caused his brain to die. He was kept on life support until Kara’s parents arrived from Bothell, Washington USA, where Kara grew up. Sadly on day 4, after touching the lives of thousands of people worldwide, and breaking the hearts of his family, Evan passed away on June 22, 2010.